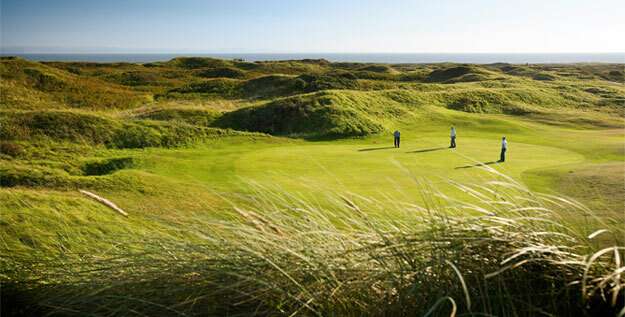 Pyle & Kenfig, affectionately known as P & K, possessing high dunes and deep challenging valleys in a layout that offers plenty of diversity has hosted many important tournaments including the 2002 Amateur Championships and Home Internationals in 2003 and 2006. It has also hosted many national and professional tournaments. Originally mapped out in 1922 by H.S. Colt, large areas of the course were requisitioned by the arme in World War II, after which it was decided to move seawards into dunesland that designer P. Mackenzie Ross described as a ´golfer´s paradise´. There are two loops of nine holes returning to the cosy clubhouse and the second half regarded as the more challenging of the two, with the final three holes viewed as the hardest. 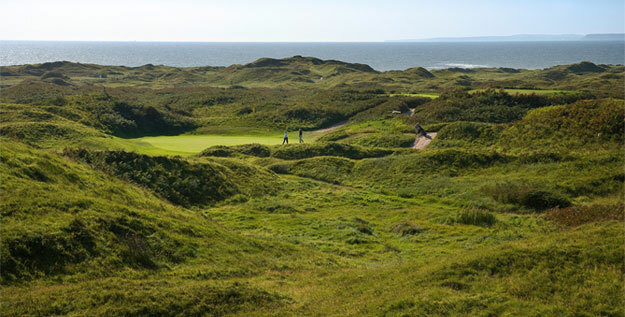 Each over 400 yards and with a daunting tee shot towards deeply-bunkered greens, they promise a demanding finish that helps make a visit to these links a memorable experience. 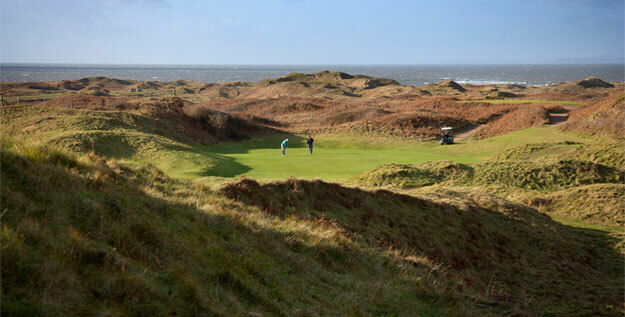 Pyle & Kenfig is a must to include in your South Wales golf itinerary.